Searching for special Birthday Gifts Ideas? Want to send a unique Gift on a special ones birthday, a mango tree? Send an online Birthday Gifts to your friends in India or abroad a mini orchard of 11 fruit trees. 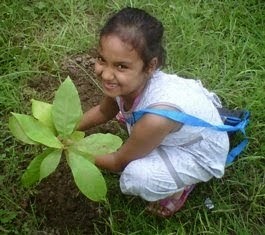 Plant a tree as a Birthday Gift - why not plant Guava fruit trees. Send an Online Birthday Gifts, plant a tree and send a certificate of birthday wishes embedded with the planting details. A birthday gift they will always treasure. Fruit trees can make the Best Birthday Gifts - specially the fruit that they love. Considering a Unique Birthday Gifts for your loved ones, plant and gift a fruit tree today? A Birthday Gift for Her that she will always remember - plant a pomegranate tree. Birthday Gift for the apple of your eyes - plant an apple tree today. Great Birthday Gifts - trees make great birthday gifts, they last many many years.